Two Wednesdays ago, I felt a little like kevinEats circa 2010. When HiPPO’s grand opening coincided with a planned date night with The Astronomer, I could not resist being one of the first diners to experience Chef Matt Molina’s latest effort. 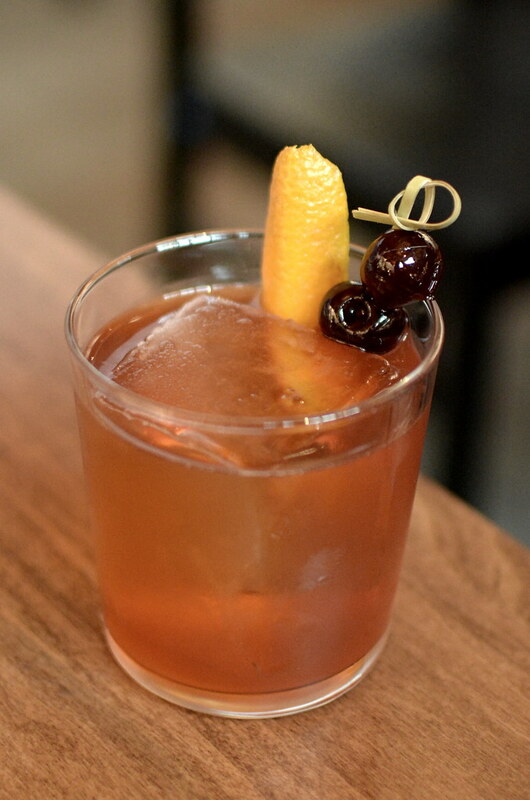 While it’s usually advisable to give a new restaurant a few weeks or even months to gain its sea legs, I wasn’t too worried with seasoned hospitality vets at the helm (see: Everson Royce Bar). 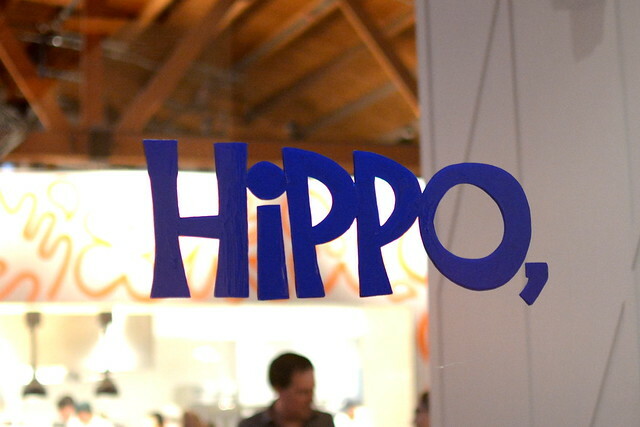 HiPPO hummed on its first night of business inside the former Highland Park Post Office (hence the name HiPPO). I am currently on an alcohol-forward cocktail kick, and the “Old Man Brunk” ($12) spoke to me. 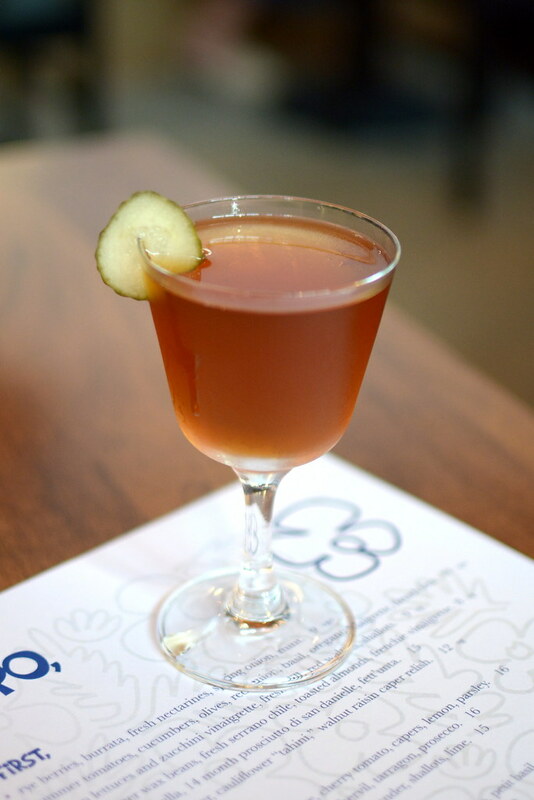 The combination of rye, poblano, cynar, vermouth, and most intriguingly, pickle brine, was everything I was in the mood for. Truly, a drink for adults. It’s been a while since a restaurant has provided complimentary bread, so I was tickled when HiPPO’s gratis focaccia hit the table. 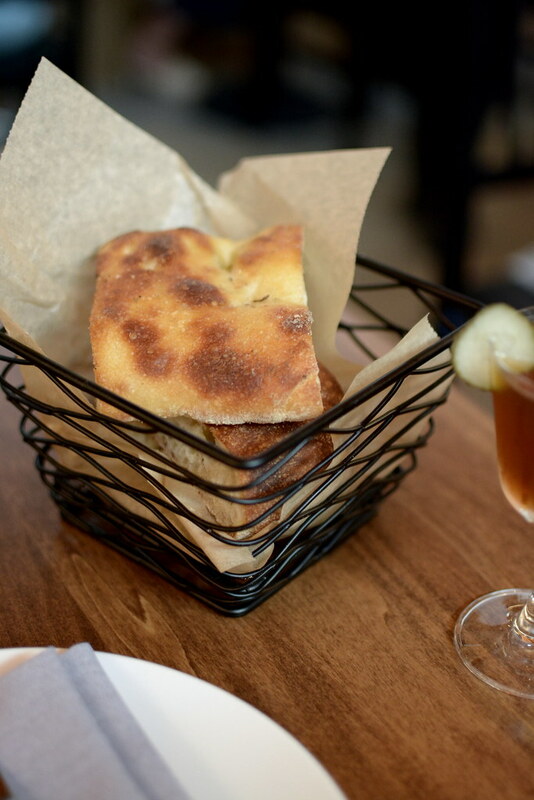 The focaccia, which was baked a stone’s throw away at sister restaurant Triple Beam Pizza, arrived crisp and lightly salted on the outside and springy within. The Astronomer and I selected a slew of big and small plates to share this evening. 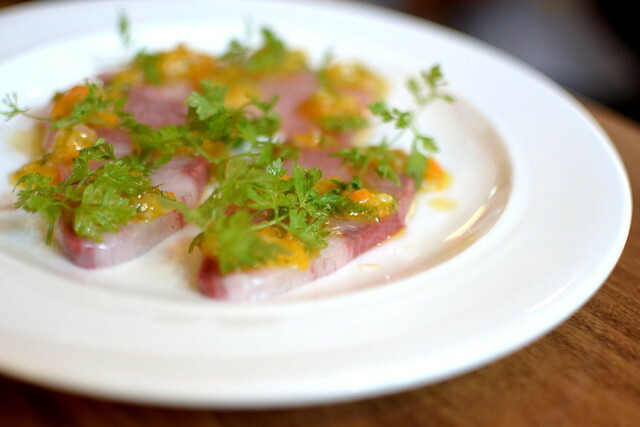 From the Crudo section of the menu, we settled on the royal hamachi with kumquat relish, chervil, tarragon, and Prosecco ($16). The bright citrus relish was just the thing to pair with the thickly-sliced fish. 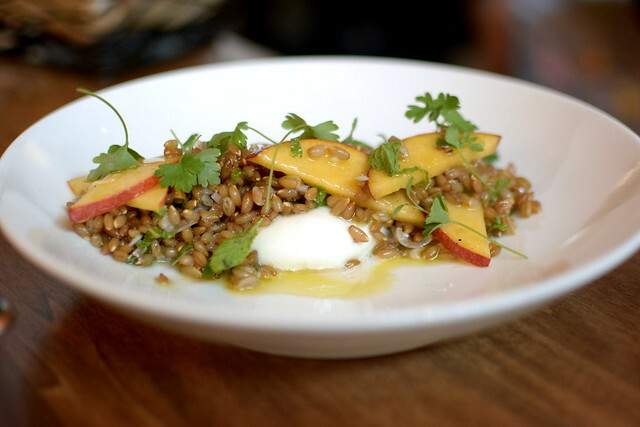 The summer heat had us feeling the burrata piled high with rye berries, nectarines, spring onions, mint, and lebneh ($9). 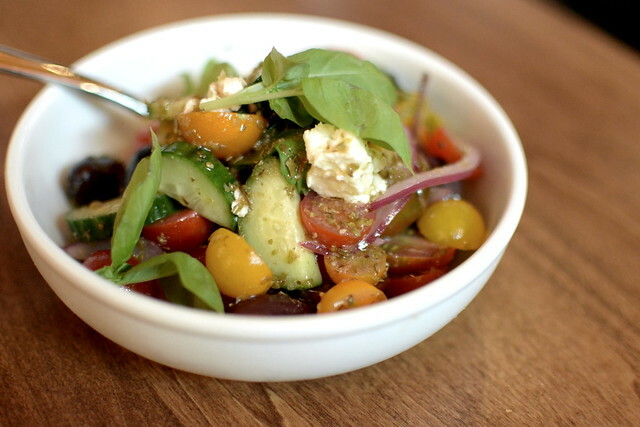 A dish of ripe tomatoes with cucumbers, olives, red onion, basil, oregano vinaigrette, and French feta ($10) landed on the table thanks to a kitchen mix-up. Dining in a restaurant before service is perfected has its perks. My second libation was the HiPPO Old Fashioned ($12), another alcohol-forward number that I sipped during the second half of supper. A trio of hand-made pastas graced our table next. 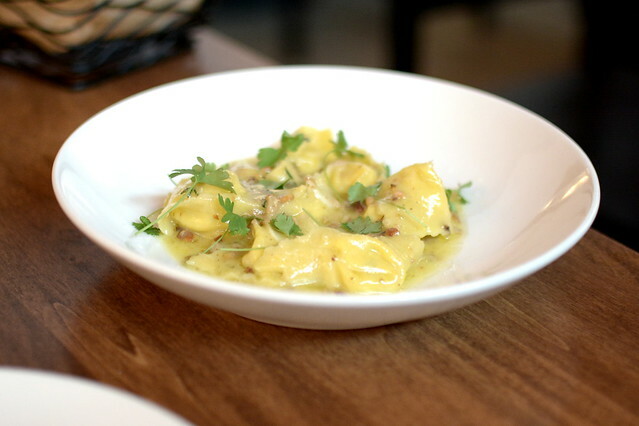 We loved the sweet corn cappellacci with chanterelles and thyme ($18). Our server described the filling as the sweetest, most buttery creamed corn ever, and she was spot on. 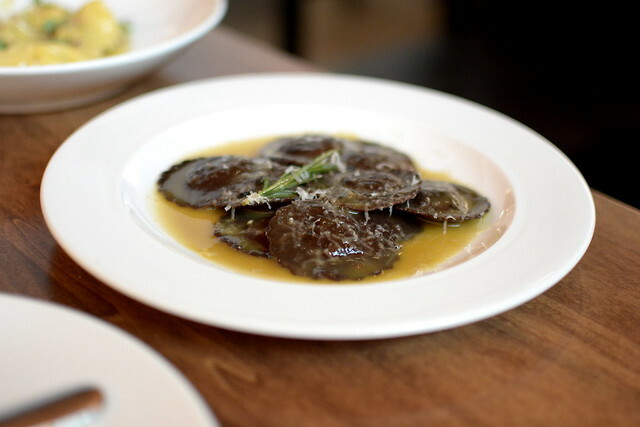 The Astronomer was intrigued by the cocoa ravioli filled with guinea hen ($18). Its silky sauce, a combination of rosemary and sauternes, tied the unlikely combination of ingredients together beautifully. 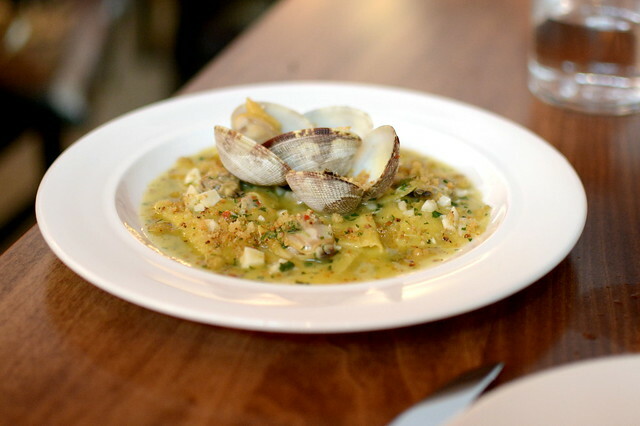 And finally, the corzetti stampati with clams, oregano, garlic, and breadcrumbs ($19). I adore seafood pastas that taste of the sea, and while these postage stamp-shaped noodles were quite briny, I could’ve gone for even more oceanic funk. We ordered two desserts to finish. 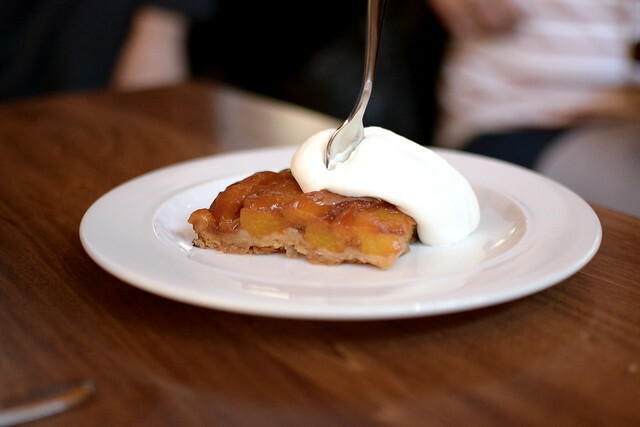 For him, a yellow nectarine tarte tatin caramelized from top to bottom and balanced with a dollop of creme friache ($10). 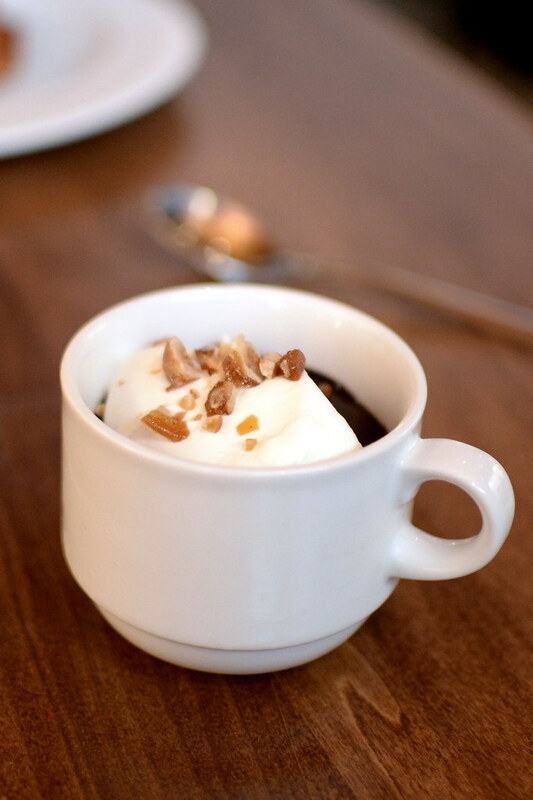 And for me, a mug of espresso pot de creme layered with dark chocolate, candied hazelnuts, and sea salt ($10). Following dinner, The Astronomer and I walked around the neighborhood to see all of the new and new-to-us businesses that had developed along Figueroa. We peaked our heads inside Highland Park Bowl, Afters Ice Cream, and Cafe Birdie, and were taken aback by how much the street had changed in the past few years. There’s no doubt that HiPPO is a tremendous addition to Highland Park.